I love blueberry muffins and pancakes, but I don't like to bite into a juicy berry. It is overpowering and distracting. 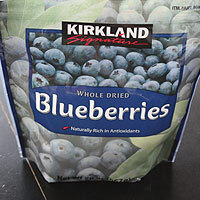 The dried blueberry mix-in is a great solution, giving baked goods a real blueberry flavor without overpowering or weighing the batter down. 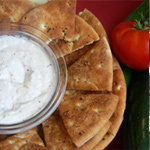 Add them to pancakes, bagels, or muffins. Processing - It's good to process them first so the berries can be broken up which will help them hydrate better and disperse more evenly in a mixture. 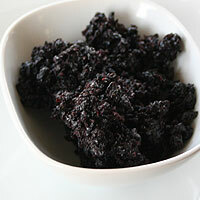 Place berries in a blender or food processor. Process until coarsely ground. If the motor on your machine starts to slow down, stop immediately. I've burned out motors processing dried fruit before. If this happens. Stir to loosen the fruit and try again. Hydrating - It's good to hydrate the dried berries before baking with them so they don't pull moisture from the baked good. 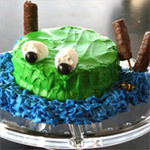 It also takes away the stickiness so they are easier to work with and will disperse more evenly in a mixture. Once coarsely ground move to a bowl and cover with water. Stir well so the berries can hydrate evenly. Let sit at least 20 minutes. 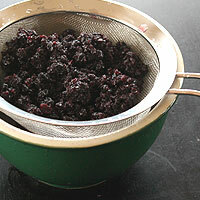 Draining - The water of course needs to be drained, and the berries dried off. The water is now inside the berry where it should be and not making a mess on the outside. Drain through a fine-mesh sieve. You want all the little bits, so if you don't have a fine-mesh sieve, drain through a kitchen towel. Blot dry with a paper towels. It will take several to dry them off. Freezing - I like to keep them in the freezer. The berries break apart easily even when frozen. 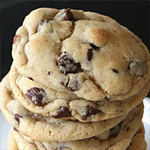 They are also less likely to discolor a batter or dough if they are frozen when added. 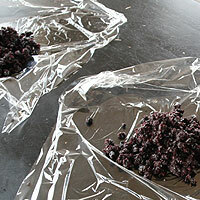 Place berries in a plastic bag and freeze. I like to prepare them in plastic wrap in 1/4-1/2 c increments. 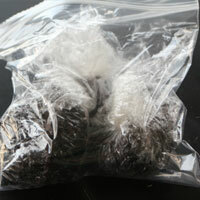 Then I place them in a zipper lock bag to freeze. 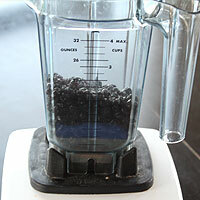 Motor Burn Out - If the motor on your food processor or blender starts to slow down, stop immediately. I've burned out motors processing dried fruit before. If this happens. Stir to loosen the fruit and try again. 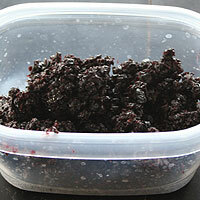 Freezer Burn - Make sure to package the blueberries well to prevent freezer burn. I like to wrap them in plastic wrap then place them in a zipper lock bag. 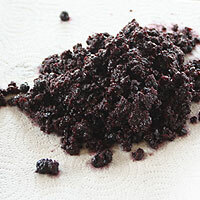 Place berries in a blender or food processor. Process until coarsely ground. If the motor on your machine starts to slow down, stop immediately. I've burned out motors processing dried fruit before. If this happens. Stir to loosen the fruit and try again. Once coarsely ground move to a bowl and cover with water. Stir well so the berries can hydrate evenly. Let sit at least 20 minutes. Drain through a fine-mesh sieve. You want all the little bits, so if you don't have a fine-mesh sieve, drain through a kitchen towel. Blot dry with a paper towels. It will take several to dry them off. 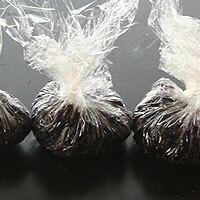 Place berries in a plastic bag and freeze. 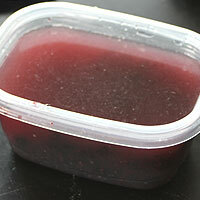 I like to prepare them in plastic wrap in 1/4-1/2 c increments, then I place them in a zipper lock bag to freeze. 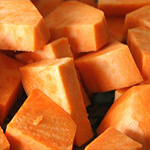 Remove from freezer and gently break apart with your fingers. Add to batters, doughs, yogurt, granola, etc. Stays good 4-6 months in the freezer.